Music is one of the most powerful qualities of the universe. It has the power to motivate people across time, just like any of the arts. It transcend the ages and is only forgotten by those who forget. It is limitless. It can inspire people and forge ideas across generations. This past year, I had recently started listening to an artist who I had not played in quite some time. 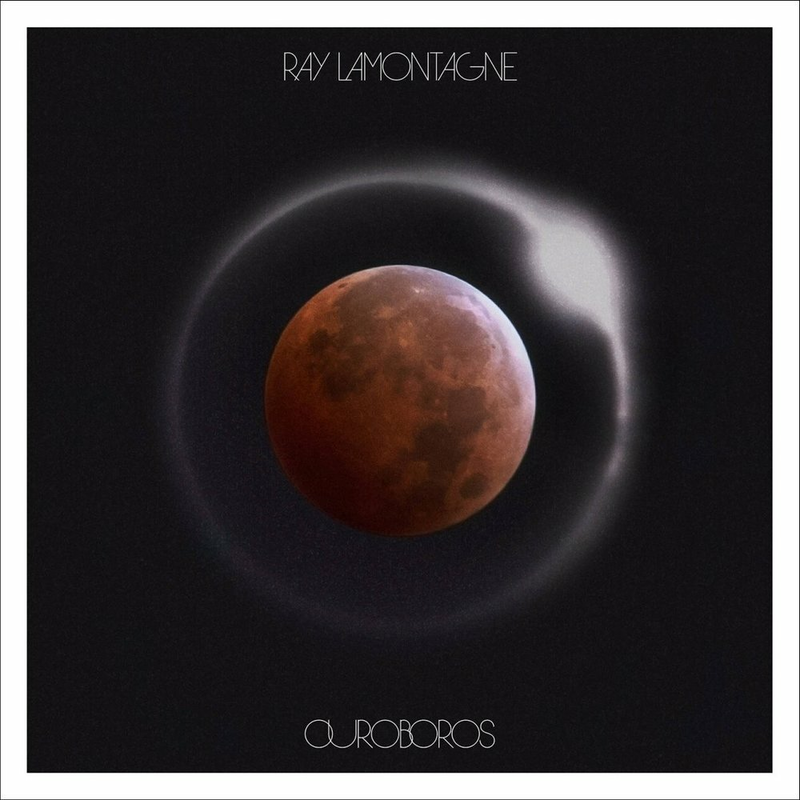 I was online and I heard a new track from Ray LaMontagne. I was like “I love his music” and clicked urgently. I listened and I was taken away with rock guitar, a smooth beat and his soothing breathy vocals. I was sold. I waited restlessly, like a child on Christmas eve waits for gifts, for his album to come out. The following article is a personal review of his album and the effect it had on me. His newest album, “Ouroboros,” is to me a powerful album in both content and in name. A little history lesson now, Ouroboros is by definition “an ancient mythical serpent used to symbolizeperpetuity.” It is akin to the idea of a phoenix, in the sense that a being is in a cycle of life and rebirth. A never ending cycle. In a sense so much of our universe models this theory. Even in our lifetimes, we go through “phases” or “times” and we remark about them and say “oh that felt like another time.” In a sense it was though, it was. Everyday is unique and will never repeat. As far as we know it is never ending; moving over and over, going on to a new day. At the end of the day it does not matter what you do. It does not matter who you are. What matters is how you feel and how you make others feel. The number one goal is for you to be content with yourself. Getting back to the point of last week’s article was, to love yourself first! That is most important. "No Pressure,” the song that grabbed my attention that night, to me is this idea of a never ending cycle. The song has killer guitar playing, and just the perfect vibes of folk and classic rock. It also hits on some of the most common existential questions we all ask ourselves. Is life just an illusion? What does it matter where you’ve been? What is winning and what is losing? The voice in the head saying no pressure is the sense of doubt we all carry about ourselves and what we do. It is so easy to be your worse critic and create a sense of negativity and pressures that are all in your head. “While It Still Beats" is such a heavy song (In a good way). Again, the instrumentation and the arrangements are spot on. The message that I hear is, "let’s take a step back from the cynical world and works of society and just let me face what I want to face.” Maybe that is completely wrong, who knows. Songs are meant to be interpreted by the individual. Anyway, the ethereal chorus outro is incredible and will be stuck in your head for sure. “In My Own Way,” is my favorite song on the album. The sweeping piano glissando and vibey melody have this song set on repeat for me. I love how chill it is and then the guitar riffs are the icing on the cake. This song perpetuating the idea of the self and individuality to me. One has to let go of the old plans and ideas and just do you. Again, this is just my opinion and I don’t want to analyze too much of this song because I don’t want to ruin the individual experience. Music is all about the experience of emotions and those are meant to be personal. The last song, “Wouldn’t It Make A Lovely Photograph,” is in essence, the most powerful song on the album and serves its purpose as the final chapter. I would even go so far as to call it the epilogue of a classic novel . (Please note that I mean this in the highest most positive regard.) The last song of an album will usually wrap up the story and but this track does so in the most poetic way. This song hits home for me and leaves me thinking about so much. I think about my life as a musician and where I am headed with all of it. I think about my friends, my family, and my future. I think about all the photos I have taken of the sky, or the girl I want to ask out. It leaves me feeling complete in a sense of nostalgia but harmonically along side the melody, I feel like I’m left hanging with some of my questions unanswered. It is that reason why I love this album. One can not answer all of life’s questions. (Remember my article about existential questions) One has to be comfortable with the past, present and future. This album is a sonic journey exploring all these facets of time in an unending cycle.